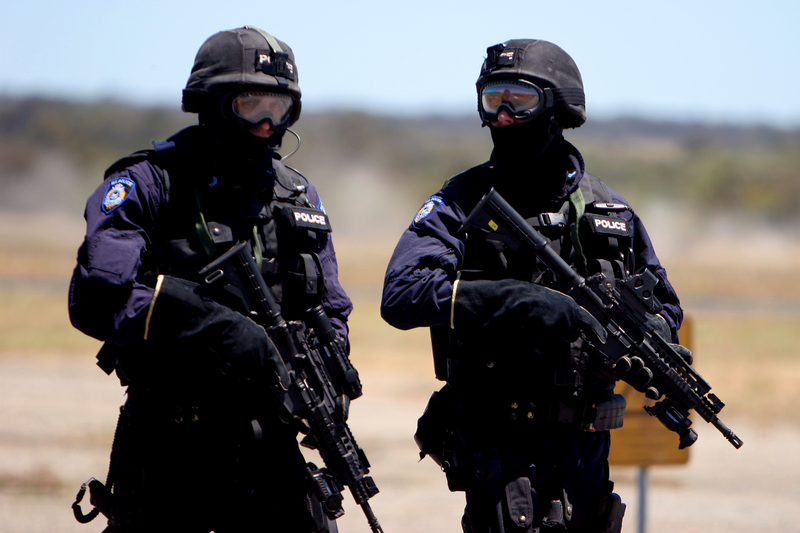 Last year, the Australian Security Intelligence Organisation’s annual report referred to ‘terrorism’ more than 60 times while the phrase ‘human rights’ appeared once. This discrepancy reflects ASIO’s willingness to prioritise its search for terrorists even when it may come at considerable expense to human rights. The report, tabled in parliament last October by Attorney General George Brandis, tells us that ‘[t]errorism remains the most immediate threat to the security of Australians’ and ‘that Australia remains a target for a range of individuals and groups who would promote their belief systems and seek to destroy our democratic way of life – not by some imagined, slow-time conspiracy or slow-burning action, but in a violent and irreversible instant’. The report tells us, too, who the terrorists are, warning of ‘the potential for Australians in Syria to be exposed further to extremist groups’ such as the recently proscribed Jabhat al-Nusra. Those people ‘could return to Australia not only with the intent to facilitate attacks onshore but also with experience and skills in facilitating attacks’. It is true that honouring human rights would not cure all political violence. Some people, after all, hate (some of) their fellow human beings, and will fight to deprive them of their rights. But some political violence is a response to wrongdoing. ASIO’s report acknowledges both points – perhaps inadvertently – when it observes that ‘[i]ssues such as Australia’s military deployments over the last decade, the Syrian conflict, or a belief that the ideals of Australia are in direct conflict with their extreme interpretation of Islam, fuel the radical views of’ those ‘individuals and small groups who believe an attack [in Australia] is justified’. The connection between terrorism and human rights has deep historical roots. The Oxford English Dictionary tells us that the word ‘terrorism’ was first used in 1795 to refer to ‘the reign of terrorism’ by the 18th century French revolutionary government. This is the same government that promulgated theDeclaration of the Rights of Man and Citizen six years earlier. The apparent paradox can be explained. Revolutionary France was in many ways the first modern state, with tremendous power to penetrate and change social life. This power can be used for good, by increasing people’s freedom, security and well-being. It can also be used for evil, attacking individuals or whole elements of society with a contemptuous disregard for those same interests, or even in the conviction that only out of such destruction can utopia emerge. This observation remains true of governments today. [I]t is essential, if man is not to be compelled to have recourse, as a last resort, to rebellion against tyranny and oppression, that human rights should be protected by the rule of law. Protecting and fulfilling human rights is an antidote to government terrorism and other wrongdoing. And ending wrongdoing by governments removes one reason for terrorism by non-state actors. In its report, ASIO justifies its ability to play judge and jury, saying that it must ‘make predictive judgements about what may happen, and if we get it wrong it can have a catastrophic impact on the safety of the community. It places great stress within ASIO to decide whether the community or the individual should get the benefit of doubt in an assessment’. This seems wrong-headed. The community is a collection of individuals, each enjoying human rights that must be respected, protected and fulfilled. These include rights to equality before the law, privacy, freedom of thought and conscience, freedom of expression and participation in the government of the country. These rights are not absolute, but they are real. To get these matters wrong, even for one individual, is to get things wrong for the community. If pendulum of state power swings from the satisfaction of rights to trampling upon them, it undermines our democratic way of life. In 2010 the Parliament recognised some of these dangers and created the Independent National Security Legislation Monitor to advise on the consistency of Australian counter-terrorism law with human rights obligations. In his time as Monitor, Bret Walker SC has met with a wide range of people, including members of the communities who have been adversely affected by anti-terrorism law and policing. Unfortunately, on March 19th the government introduced legislation to abolish the Monitor. In the meantime, ASIO is preparing to take occupancy of its new $589 million offices. We know that spies do not always respect human rights. Edward Snowden’s revelations of the massive surveillance program operated by the US, Australian and other governments is one reminder of this. SBS’s documentary series ‘Persons of Interest’, revealing the effect of ASIO’s past activities on many ordinary Australians who were exercising their rights, is another. The casual confidence with which ASIO carves the world of political ideas, ideals and violence into the ‘acceptable’ and the ‘terrorist’ is yet another. In the eyes of this powerful state agency, a contentious foreign and military policy takes on a legitimacy independent of the outlooks and experiences of individual Australians; and those individuals become suspect because of their deviation from these imputed standards. This is an upending of the democratic relationship between government and citizen. It is not giving the real Australian community the benefit of the doubt.